In the 1940s, Professor Heinz Heck, and his brother Lutz, of the Munich and Berlin zoos, claimed to have re-created an aurochs by cross-breeding various European cattle with each other. (Grzimeks Tierleben, DeutscherTaschenbuch Verlag, October 1979, pp. 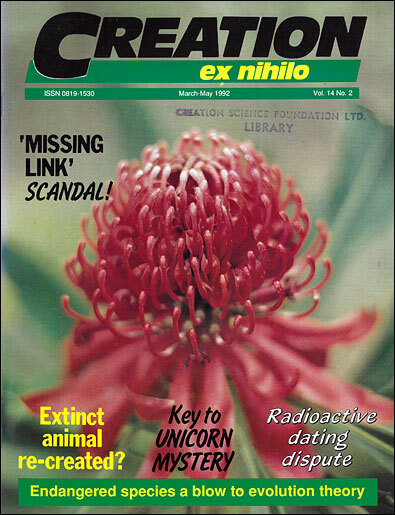 375–381.) The aurochs was the original wild bull of Europe, the ancestor of European domestic cattle. It was a massively powerful creature standing almost two metres (six feet) at its shoulder. Julius Caesar, in describing its size and strength, compared it with an elephant. 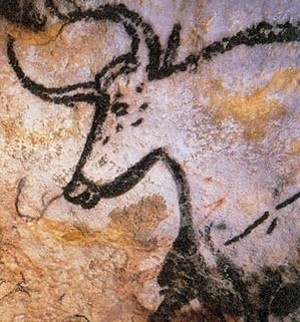 The aurochs, or wild bull, as depicted in the famous Lascaux cave paintings (Cro-magnon). The last aurochs died in 1627 in Poland. It was probably quite similar to the original kind. Contemplating such ‘re-creations’ helps us understand better the way in which many breeds have been ‘split off’ from one ancestral group, which in turn was one of many such groups which themselves ‘split off’ from the original created kind. * All bison have 14 pairs of ribs, not the 13 typical of cattle. However, since they (and all the Bos group) freely interbreed with each other (offspring may not always be fertile), they are unlikely to be a separate created kind. Rib numbers may reflect the variability in the original baramin, or kind (the yak also has 14 pairs) or else a mutation in regulatory genes (duplicating or deleting existing information, not creating any) may have become fixed in certain lines. ** True buffalo do not voluntarily interbreed with the other members of the cattle family. This raises the possibility that they descended from a separate created kind, in which the similarities are due to common design, not common gene pool. However, this is not necessarily true, since as Harvard’s Richard Lewontin admits (The Genetic Basis for Evolutionary Change, 1974, p. 186), substantial species divergence can occur without requiring the postulate of ‘novel genes’ by mutation.